Our main concerns were 1) we had no idea how I would actually feel when 6 months pregnant and 2) we didn’t think that big rucksacks, long distance buses and 6 month bumps went that well together. Fortunately we had only paid a small deposit on the flights and hadn’t yet booked accommodation so we decided it was worth losing £100 to cancel a holiday we just weren’t certain about. We were gutted, but obviously the loss of a Mexican holiday was tiny compared to the excitement and joy of a baby to look forward to. And we did eventually make it to Mexico, 2 children later and slightly modified from our original plans, as Graham has already detailed elsewhere. 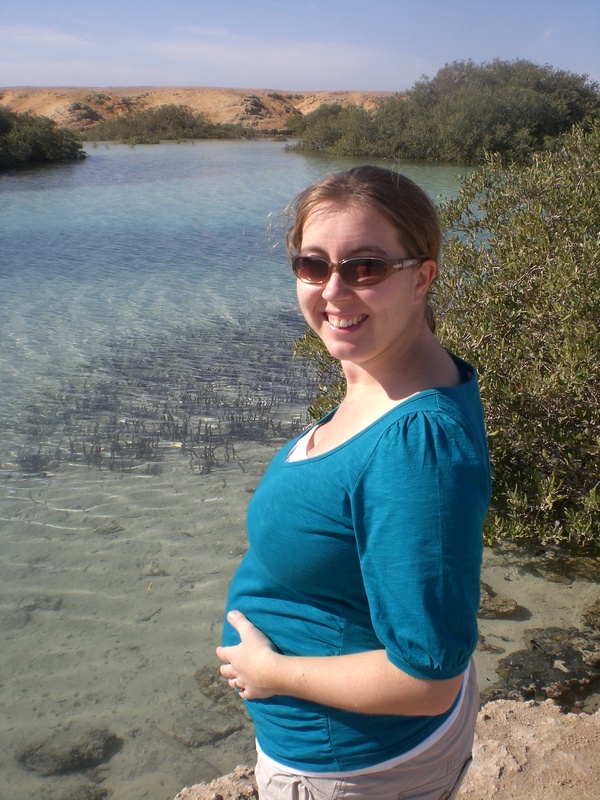 Despite not going to Mexico, I have still travelled when pregnant with both of our children: to Italy (10 weeks), Egypt (28 weeks), France (15 weeks), St Lucia (21 weeks) and Norfolk (35 weeks). Our philosophy with children has always been that you shouldn’t stop doing things you love just because you have children, although you may need to compromise a little, and for us that started in pregnancy.